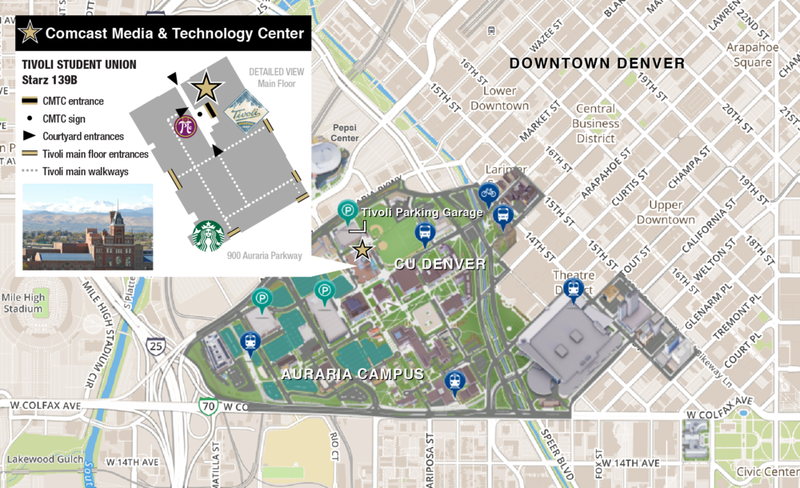 Our multi-disciplinary academic center is located in the Tivoli Student Union on the Auraria Campus in Downtown Denver. We provide an opportunity to engage many audiences in collaborative activities focused on new approaches to research and development, media creation and content delivery. If you are interested in learning more, please contact us. View video below for additional visuals on locating the CMTC.